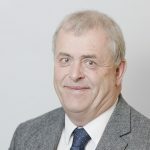 John Haigh joined the company in 1990 after 13 years in the valuation office, and practical experience in dairy, pig and arable farming on his father’s farm. A Chartered Surveyor, and Fellow of the Central Association of Agricultural Valuers, John took over the running of the business in 1996. Wide ranging experience dealing with agricultural, residential and commercial property, particularly valuations and property appraisals, compensation claims and more recently energy consultancy. After graduating from the Royal Agricultural College, Cirencester, Catherine Johnston joined the company in 1993. 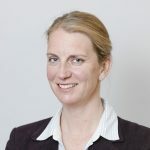 A Chartered Surveyor and Fellow of the Central Association of Agricultural Valuers, Catherine principally advises clients on rural property matters, sales, lettings purchases, management and valuation for a variety of purposes including compensation and HS2. Has detailed knowledge of the Basic Payment Scheme. 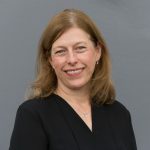 From a farming background, Vicki attended the Harper Adams College where she graduated in July 1994, before joining a national consultancy practice dealing with agricultural management sales and acquisition. In 2002, Vicki joined Lister Haigh and her previous experience has given her the expertise to undertake a wide range of agricultural and property related work, but her core work is compulsory purchase, compensation and valuation based. Giles joined the company in 2001. Although not from a farming background, he has gained a wealth of experience from working on farms in the Yorkshire region, as well as New Zealand. Giles has also gained knowledge from working with other Chartered Surveying firms as well as a property development company. 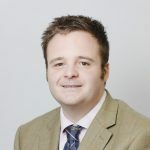 Giles is principally involved in advising on planning & development issues and can assist in residential, agricultural and commercial sales, management and agricultural matters. Andrew joined the company in Summer 2007 after undertaking a year’s placement during 2006. He is from a local farming family and has a wealth of experience from working on farms across the country. Andrew has also gained experience from working with both local estate agents and Yorkshire Waters Land, Property and Planning department. 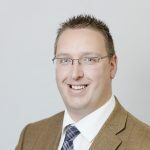 Andrew is principally involved in heading the Agricultural Sales team and a key member in providing consultancy advice and dealing with compensation claims within the region. Richard Lister joined the company in 2001 to head the Estate Agency Department, which deals with property sales out of our 3 offices. 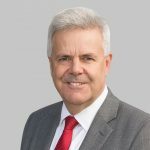 With almost 40 years experience of selling property across North Yorkshire, Richard is able to offer expert advice and assistance on marketing your property. Richard is a Fellow of the National Association of Estate Agents, and former President of the Harrogate and District Estate Agents Association. 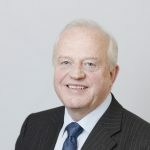 Paul joined his father’s firm (James Johnston) in 1973, and continued to run the business until the amalgamation with Lister Haigh in 2002. 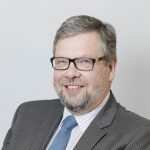 Paul, a Fellow of the Central Association of Agricultural Valuers, still heads the Boroughbridge office, and has expertise in property sales for residential, commercial and agricultural property, residential letting and management, as well as dealing with compensation work. Tim is regarded as one of Yorkshire’s leading estate agents specialising in the sale, valuation and purchase of residential property. 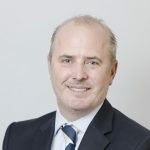 A Chartered Surveyor and Fellow of the Royal Institution of Chartered Surveyors, Tim’s career started over 30 years ago latterly as a director of Dacre Son & Hartley, following a decade as a partner and northern head of residential at Knight Frank. He is leading the regional residential expansion of Lister Haigh across North and West Yorkshire. 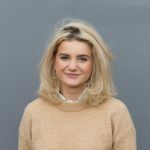 Zoe joined the company in July 2015 after graduating from Harper Adams University with a degree in Rural Enterprise and Land Management, having completed a placement year working for Davis & Bowring in Cumbria. She passed her APC in October 2016 qualifying as an RICS Chartered Surveyor. 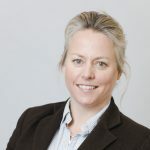 Zoe is involved in a range of professional work which principally includes planning and development, valuations, assisting with sales and agricultural matters. 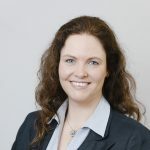 After graduating with a Masters degree from the Royal Agricultural College, Cirencester in 2007, Tiffany first joined the company in 2009 when she passed her APC and became a RICS Chartered Surveyor. 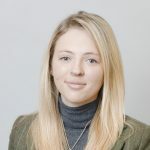 Tiffany gained knowledge working for other chartered surveyor firms carrying out a wide range of rural and commercial property related work and re-joined Lister Haigh in 2016 where she is primarily involved with Compulsory Purchase and Compensation, Business Rates and Valuations. Marie Harris joined the company in September 2018. She is a chartered Architect with over 20 years’ experience. Formally with Andrew Long + Architects in Knaresborough, Marie has a worked in several market sectors; including private and social housing, retail, leisure and healthcare. In recent years she has developed her skills designing projects involving Listed Buildings, Barn Conversions, Conservation Areas and developments in environmentally sensitive locations. She joins the team at the Knaresborough office offering a full architectural service from feasibility and design advice, through planning & building regulations submissions, contractor appointment and assistance with works on site. Lizzy joined Lister Haigh after graduating from Harper Adams University as a Rural Surveyor. Working alongside Andrew Hardcastle in the agricultural team, Lizzy is involved in a range of a professional work such as Red Book valuations and Countryside Stewardship Schemes as well as being involved with landlord and tenancy matters and negotiating compensation claims on behalf of landowners and occupiers. Lizzy’s work is predominantly focused towards achieving her RICS qualification in the upcoming year.